This 7” can be seen as the only Liberation single, although it’s not really a single as it was not intended to pop up in the charts. 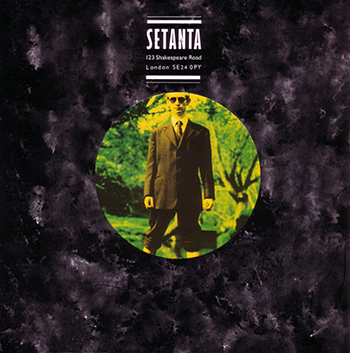 The record is one of three 7” produced by Setanta at the end of 1993 and available by mail order or at gigs for only £1.50. The other two being: a split flexi with The Glee Club and a picture disc. This 7” is probably the less interesting of the lot as it looks just like a promotional Setanta 7” (same design - but in blue - and same sleeve as Jerusalem) and features three songs from the Liberation album. 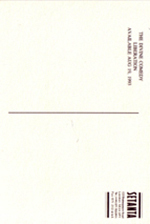 A Liberation postcard was originally given away with the record. But later the disc could be sold with another postcard (Promenade or Casanova). 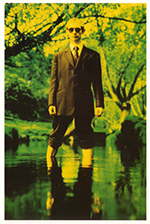 A postcard was issued by Setanta to promote this 7” record and the forthcoming album. It was mainly given away to people who bought the mail-order discs from the label.